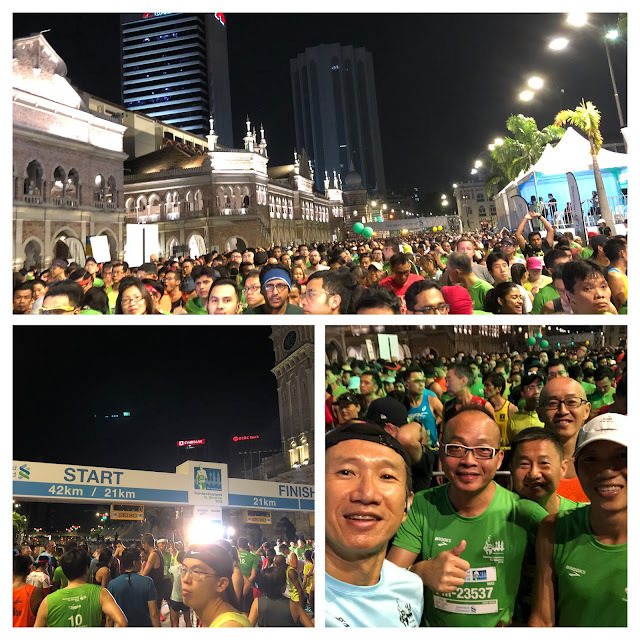 Race Review: Standard Chartered KL Marathon 2018 (by Vincent Khor) | JustRunLah! 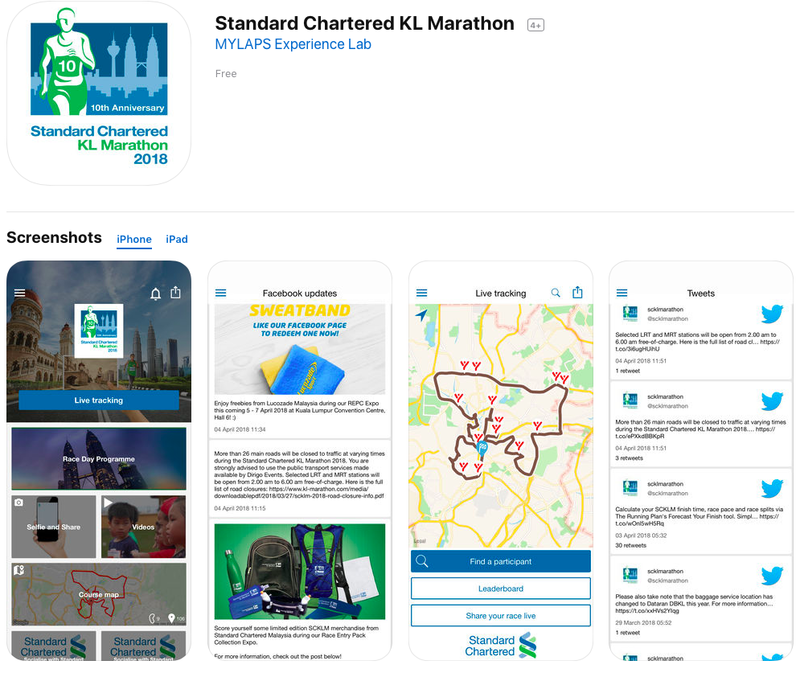 When Standard Chartered KL Marathon was first organised 10 years ago in 1999, I was still recovering from slipped dic and not into running yet. During that time, running was only starting to boom in Malaysia. I remember I was dragged by my then-colleagues to run with them in mid 2010 in preparation for their Penang Bridge International Marathon. I could barely run 3km then! Little did I know that my running life has grown over the years with Standard Chartered KL Marathon. And every year, I have been so looking forward to running the streets of Kuala Lumpur at SCKLM. 2011: I lost my half marathon virginity (HMV) to Standard Chartered KL Marathon (net time 01:54:07). 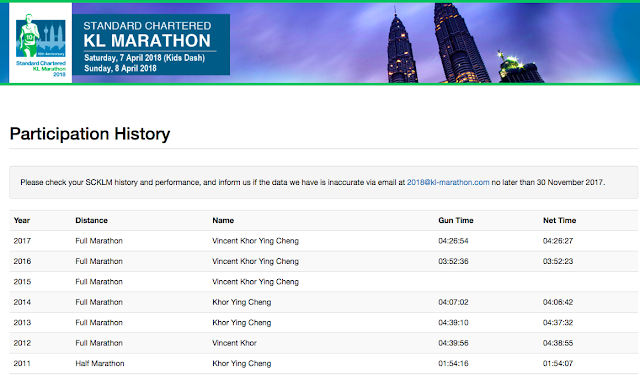 2012: I lost my full marathon virginity (FMV) to Standard Chartered KL Marathon (net time 4:38:55). 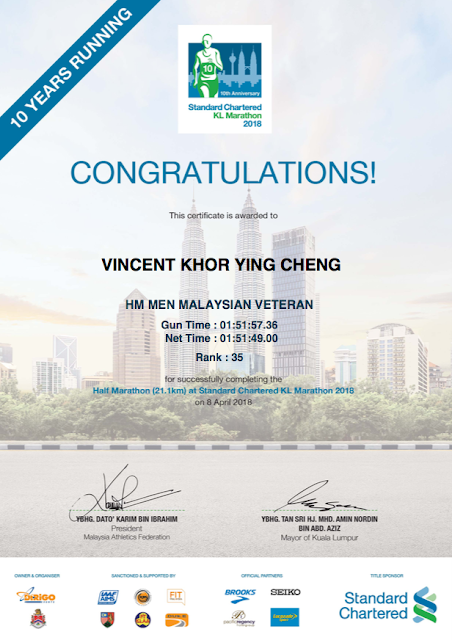 2013: I ran full marathon at Standard Chartered KL Marathon again with a mere 37 second improvement. 2014: I finally broke sub 4:30 hour in full marathon at Standard Chartered KL Marathon (net time 4:06:42). 2015: Standard Chartered KL Marathon was unfortunately canceled due to poor haze condition. 7 years running + SCKLM2018 = 8 years running! How about SCKLM2018? 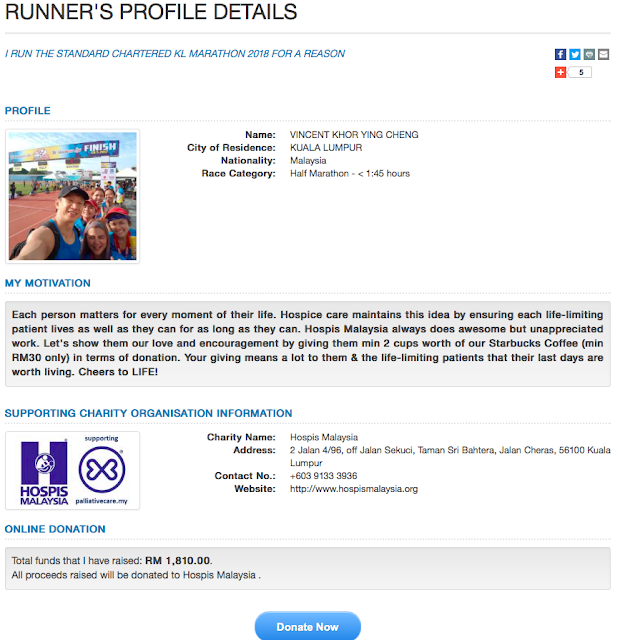 My 8th year running at SCKLM? 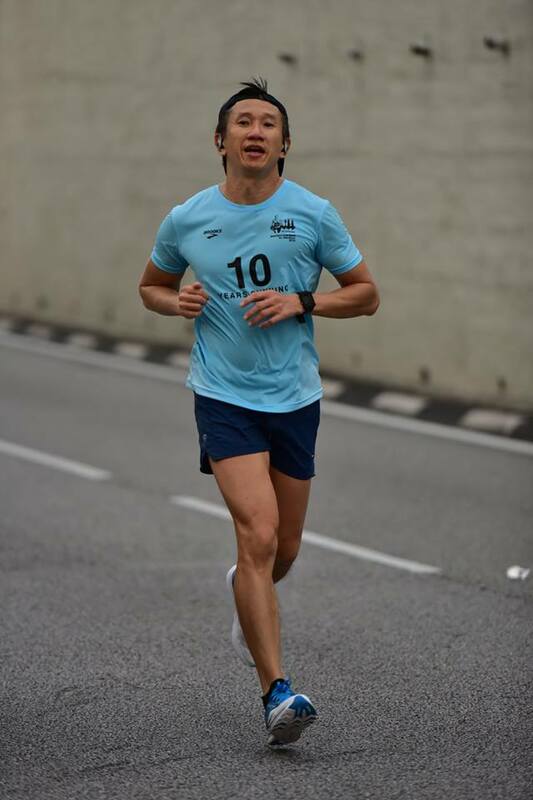 Should I run 42km and attempt to do another sub 4:00 hour at SCKLM2018? Or should I downgrade myself to 21km? 😃 When I told my friends that I decided to run only 21km at SCKLM2018, their jaws dropped! They kept asking me again and again, “Are you sure, Vincent? 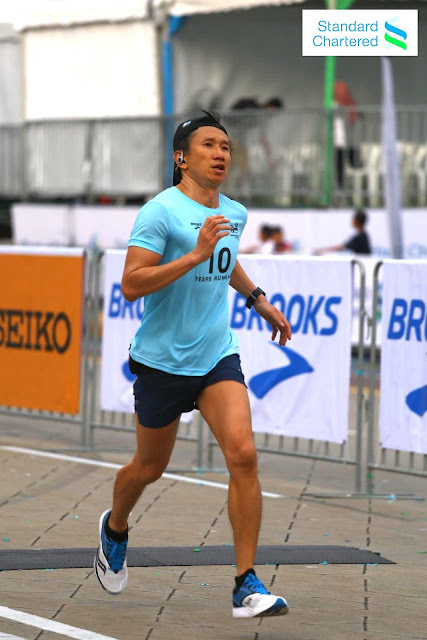 You are going to run only 21km at SCKLM2018? I thought you never run 21km race and only 42km?” hahahahahaha! My friends were right though! To date, I ran 32 full / ultra marathons and only 7 half marathons! I ran more full marathons than half marathons! lol! And my last half marathon race actually dated back to 2015’s Seremban Half Marathon until I won a complimentary free slot though Saucony Malaysia to run the Bukit Jalil Half Marathon 2018. lol! Crazy me, huh? haha! My physical body has been feeling rather tired from the 5 full marathons within 4 months. Hey! I’m no longer young, you know! haha! At 50, I think my age is taking a toll on me even though my heart is willing to run more full marathons in short span of time! I thought I should really listen to my body and give it a good rest. Anyway, if you are interested to read the race reviews, you can click here. Meanwhile, I was thinking of giving back to the society by helping to raise funds for charity organisation through “Run For A Reason” program at SCKLM2018. The first charity organisation that came to my mind was Hospis Malaysia because I personally had three personal experiences with Hospis Malaysia helping out my close friends’ family. The same with last year, SCKLM2018 race entry pack collection (REPC) was held at KL Convention Centre. I reached there at 5pm on the first REPC day (Thursday 5 April) and there was no crowd at all. It took me less than 5 minutes receive my race entry pack! Very fast and efficient indeed! By the way, I told myself that for SCKLM2018, I wanted to find every single opportunity to give thanks to volunteers and the people who have worked relentlessly for this 10th anniversary. So I chatted with the volunteers thanking them for their work. They were really happy for the appreciation given to them. I woke up at 3.15am, took the 4:15am free LRT Sri Petaling line (thanks Digiro Events for providing free LRT train service!) to Masjid Jamid Station. I was glad to have bumped into a friend who was planing to run his first 21km. So we took the train together. After putting my bag at the baggage bag counter. A very efficient and smooth process by the way! And yes, I also chatted with volunteer there who were there since 10pm the night before. I also thanked them for their contribution. I then headed to the start line. My friend went to Pen 4 and I went to Pen 1. I was very glad to have met some running friends at Pen 1 whom we run together during Sunday LSDs at Padang Merbok. Was I nervous? Not at all! 😜 In fact, I was totally relaxed because this wasn’t 42km mah! hahaha! It was already my off running season anyway! 🙂 I knew that if nothing unforeseen happened, I should be able to complete 21km within the 3:00 cut off time. 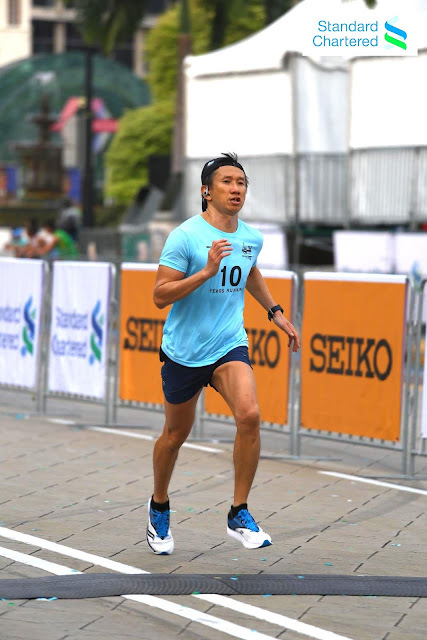 Besides, I wasn’t putting much expectation to this run as I wanted to run by feel and enjoy this SCKLM2018 21km experience! To honour my friends who donated to Hospis Malaysia. To show appreciation to the selfless workers behind Hospis Malaysia helping the sick. We were all excited! As the flagoff started sharp at 5:30am, we were all ready to rock Kuala Lumpur – the whole 21.1km of it!! 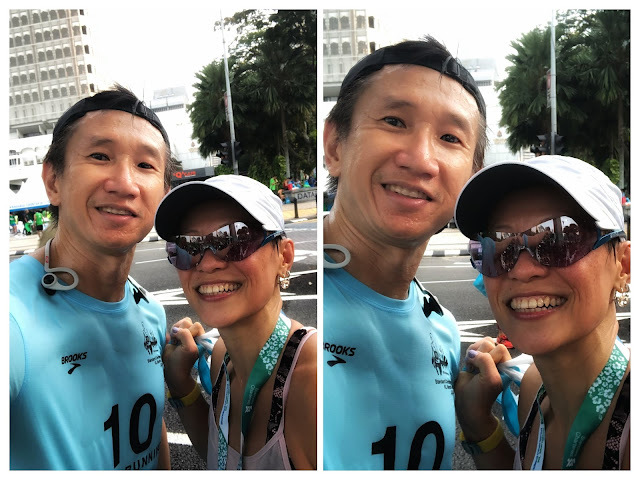 The weather was very kind to us at 24 degree celsius – much cooler than last year’s SCKLM2017. It made the whole running even more enjoyable! Photo credit: Mr Chan WK. Thank you! During the first few kilometres, I was running with TPRC’s beautiful Grace. Then I continued to run at my own pace without checking regularly on my Garmin Vivoactive GPS watch. I just wanted to run by feel, checking out the beautiful scenery along the route, and completing the race without injury. I also wanted to run prayerfully with the three reasons in mind. Now you know why I was so relaxed!! I could smile while running too! lol! Photo credit: David Lau / MY Runners. Thank you! Overall, I managed to achieve an average pace of 5:13/km, an average run cadence of 185 spm and average stride strength of 1.04m with maximum elevation gain of 224m. I really love the water stations. Virtually I could take a shower with about one water station for every 2km or so. And not to forget the ample supply of Luxozade Sport isotonic drink! Kudos to Dirigo Events for ensuring all runners were hydrated well! At any opportunity that I had, I also said thank you to the volunteers at the water stations with a smile! And yes, I managed to snap a banana to eat too. All the while I thought only full marathoners got to enjoy the banana station! I was happy to see banana at one of the stations around KM10. Awesome! Just in time for my hungry stomach on a beautiful Sunday morning! lol! Oh – how could I forget the high-spirited performers along the route at strategic locations? They helped to put a smile on my face! It reminded me of Tokyo Marathon with may performers at strategic location as well. The only difference was that at Tokyo Marathon, the speakers were very loud making all runners wanna sing and dance along! haha! But hey – kudos to the local performers! You were great, awesome and entertaining! Great job! I smiled at them, said thank you to them, and waved my hands to them to show my appreciation! Without them, the streets would be silent with the running steps of runners! Photo credit: SCKLM’s official photographer. Thank you! I also noticed at various places, there were also quite a number of supporters cheering along, especially towards the finish line! It really made all of us runners pumped up for the last dash! Thank you! And yes – I will never forget the safety measure taken by Dirigo Events! There were plenty of marshals and traffic controller at strategic locations. Roads were fully closed for runners to run peacefully! Safety cones were placed along the route. In comparison to Klang International City Marathon 2017, I could barely see a safety cone within my sight! But at SCKLM2018, I actually counted the number of safety cones at around KM18. My stride length was around 1.04m. And I counted that for every 15 steps I ran, I saw a safety cone! That was a safety cone for every 15 meters! I was really impressed by it! At that particular moment, I thought of the greatness and awesomeness, and selfless sacrifice of Evelyn Ang. Because of her, we have a better and safer races to run in Malaysia. Thank you @missyblurkit ! You will always be remembered! Oh yes!! The awesome photographers along the route. Thank you thank you to all of you who snapped nice beautiful photos of us! You have done such a marvellous job! I really love the photos! I am going to make it my profile picture! hahaha! Thank you once again! 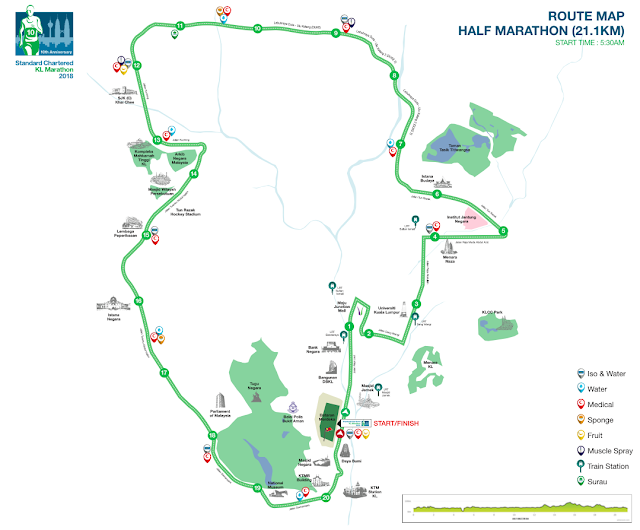 About the route, there were 2 places where full marathoners and half marathoners merged and ran together. If I remember correctly, it was at KM25 for FM (Duke Highway) and KM38 for FM close to Carcosa Seri Negara area. At Duke Highway, I saw Padang Merbok running friend Little Ling at Duke Highway! At that particular moment, I was thinking to myself, “Hey! How I wish I could run FM like him! I miss running full marathon!” Then I realised that full marathoners probably would have run for 2.5 hours already by then since they started 1.5 hour earlier! I then started to emphasise with full marathoners. I gave some encouraging word to Little Ling before I continued to run at my pace by feel again. Then at Carcosa Seri Negara area, I saw Malaysia Women Open Champion Chooi Fern making a u-turn running down from Jalan Parliament to merge with us half marathoners! I was so excited for her! I shouted out her name but she was really focusing on her run! Shameless me – I thought I was running half marathon and I probably could try to follow behind her back to finish line. At that point, there were 4 more kilometres to go to finish line! In actual fact, I already slowed down with the hills. But seeing her run passed me, she really motivated me to pick up my speed again trying my best to follow behind! hahaha! I was really shameless! I couldn’t follow behind her for even 500 meters! She was so so fast! I started to feel really old! hahaha! Just joking! Anyway, I felt so happy for her! A big congratulation to her for being the Malaysian female champion. Oh yes, I also saw another friend Cayson. I didn’t get to say hi to him though. He was behind Chooi Fern not far away at the point. After that, I just enjoyed the cheers along the route to the finish line. I saw one supporter showing the sign “Crispy Chicken Rendang”! I burst into laughter asking her if there was crispy chicken rendang at finish line! She jokingly said, “Yes! Yes! Yes!”. Such a cheerful lady! Yay! I finally completed a very enjoyable happy 21km race at SCKLM2018. I had so much fun indeed. Oh the finisher medal – it could revolve! The finisher medal was made with such a high quality! Instantly, I have fallen in love with it and it now becomes one of my most favourite finisher medals along with Tokyo Marathon finisher medal! Just love the design and quality! Finish line – happy me! I also had a very very very very very rare opportunity to take photos with all the sub 4-hour elites!!! Hey – if I were to run full marathon, I might still be suffering on the way back to finish line!! 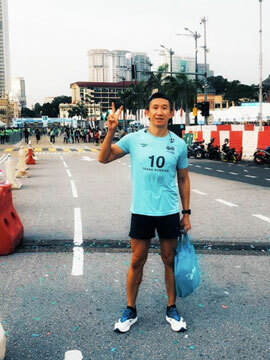 But on SCKLM2018 finish line, I could happily greet my dear Ironman cousin Chan Jun Shen and some of my sub 4-hour elite friends (Khoo Kay Hao, Rooney, Cayson, and Lim Huat) ! What an honour to be able to take selfies with them! I could only smell their fart and see the smoke and probably I couldn’t even see their shadows at a full marathon! They are simply too too too fast for me! I was so inspired by them. At the same time, I also gotta accept the reality of my own ability and be contented with what I could achieve. After all, they are elites! I’m a regular runner mah! hehe!! 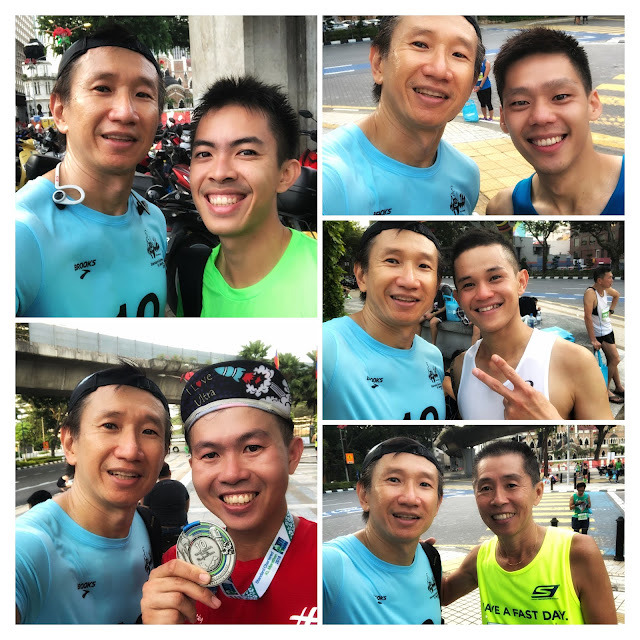 Selfies with all sub 4-hour FM Elites Chan Jun Shen, Khoo Kay Hao, Cayson, Rooney and Lim Huat! You inspire me!! I must say I’m very impressed by this year’s improved version of SCKLM mobile app! It provides Live Tracking, Results, Race Day Program, Course Map, and even Selfie! Wow! A really great mobile app indeed! I love Live Tracking the most! 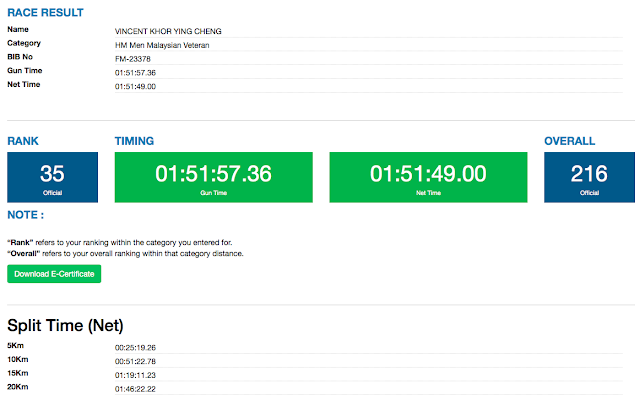 I could track my friends and find out their finish times. Simply amazing! The E-cert was immediately available the next day (Monday). The e-certificate design is very nice with KL Skyline as the backdrop and “10 Years Running”. 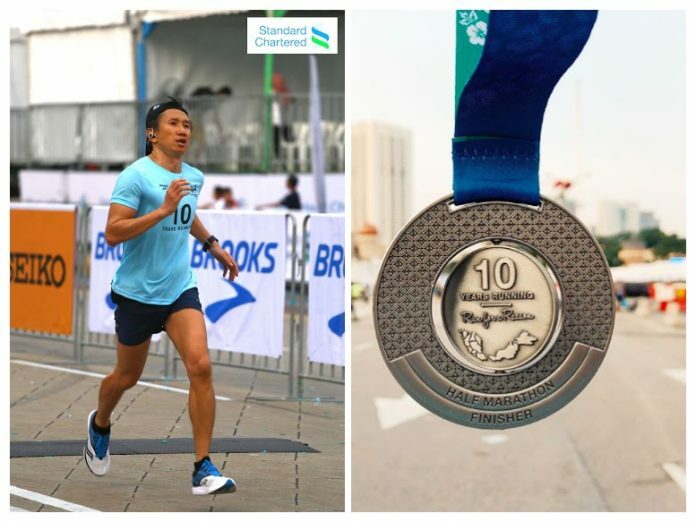 I must say that Standard Chartered KL Marathon 2018 made the 10th anniversary a great success! It has improved greatly over the years! 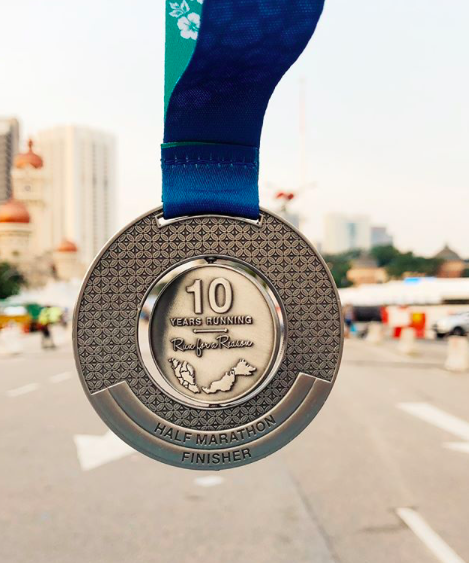 After running twenty over full marathon races in Malaysia, I would like to rate SCKLM as the most well-organised, most high-quality, and most technically-savvy running event in Malaysia. On the safety aspect, I would also like to rate it as #1 for city races, and closely after Penang Bridge International Marathon (due to the full road closure running on the bridge throughout 42 km) overall. Kudos to Dirigo Events! Thank you once again to friends who donated a total of RM1,810 for Hospis Malaysia. This run was a special dedication to you! And thank you Dirigo Events for the complimentary running slot for media. I really appreciate this chance-of-a-lifetime experience as a blogger. A blogger? me? hahaha! I actually just enjoy writing to share my experiences to inspire one or two runners out there to do their best! I don’t even quality myself as a blogger! I’m forever remembering this life experience in my blogging journey. 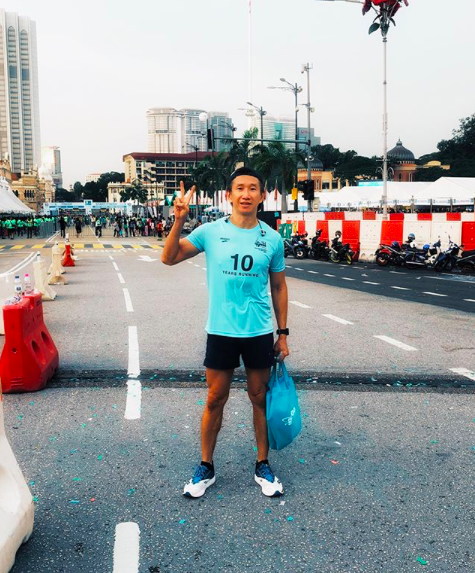 Will I join SCKLM2019? Most certainly! For me, SCKLM2018 was my 8 years running. And I would continue my 9 years running, 10 years running, etc with Standard Chartered KL Marathon in future! BIO: Sports-inspired simple, healthy, positive living of a young-at-heart. Click here for more post from Vincent Khor. Congrats on the strong finish. I think it is very good time especially at your age. No mean feat!